Welcome to the 24 Month URCHIN newsletter describing the project activities between (and including) November 2016 and April 2017. The contents of the newsletter include the activities of the various project partners over the last 6 months and a brief summary of what to expect in the URCHIN project over the final 6-12 months of the project. 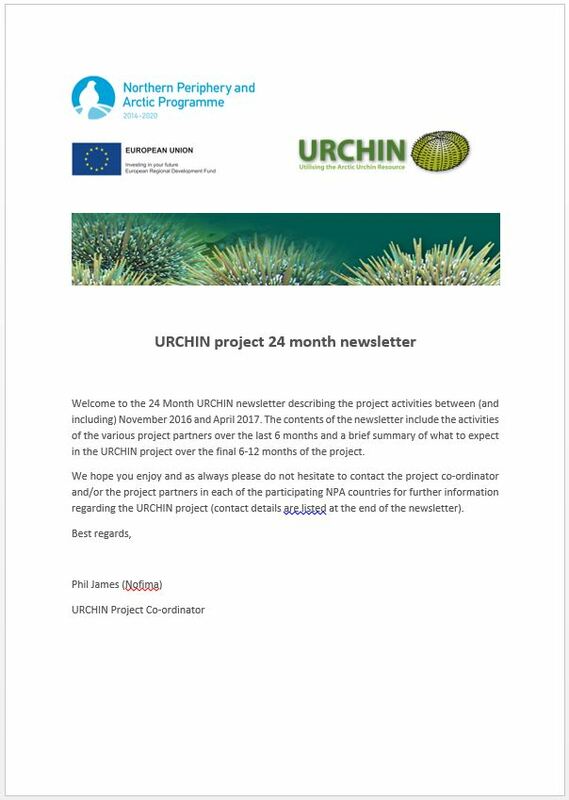 We hope you enjoy and as always please do not hesitate to contact the project co-ordinator and/or the project partners in each of the participating NPA countries for further information regarding the URCHIN project (contact details are listed at the end of the newsletter).